My No. 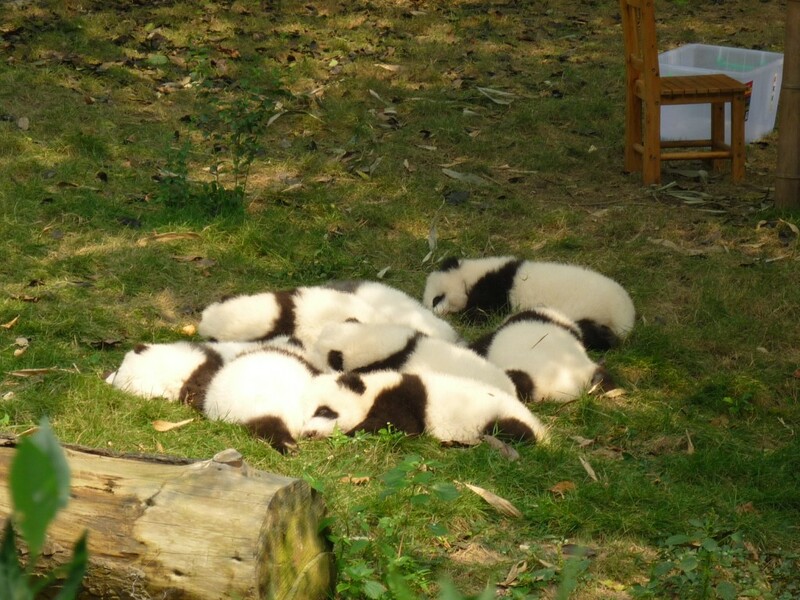 01 Tourist site is the Panda Breeding and Research Center. 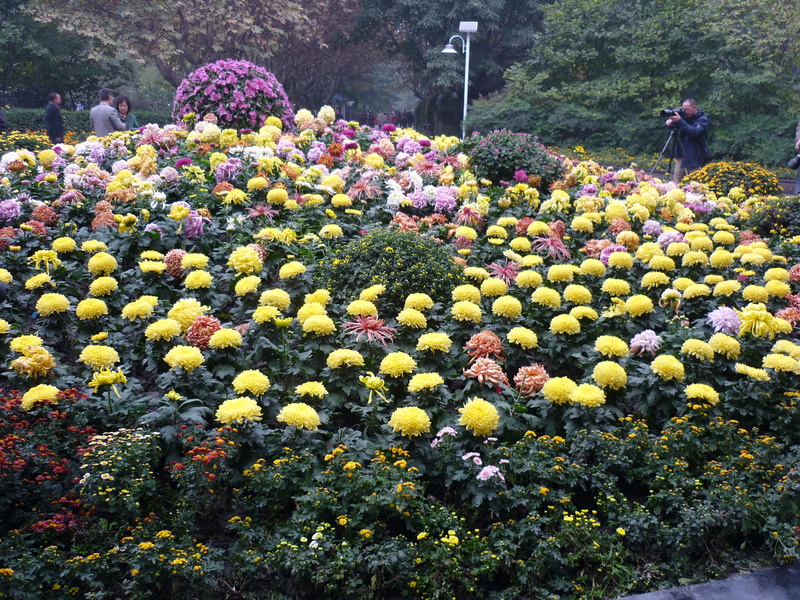 Located on the mountain of Futoushan in Chengdu. They created it to imitated the pandas’ natural habitat to ensure the best possible environment for rearing and breeding. The Research Base shows many practical specimens of the Giant Panda, Red Panda ( doe not look like a panda) including fossils, dissected anatomical remains, diet specimens, etc. 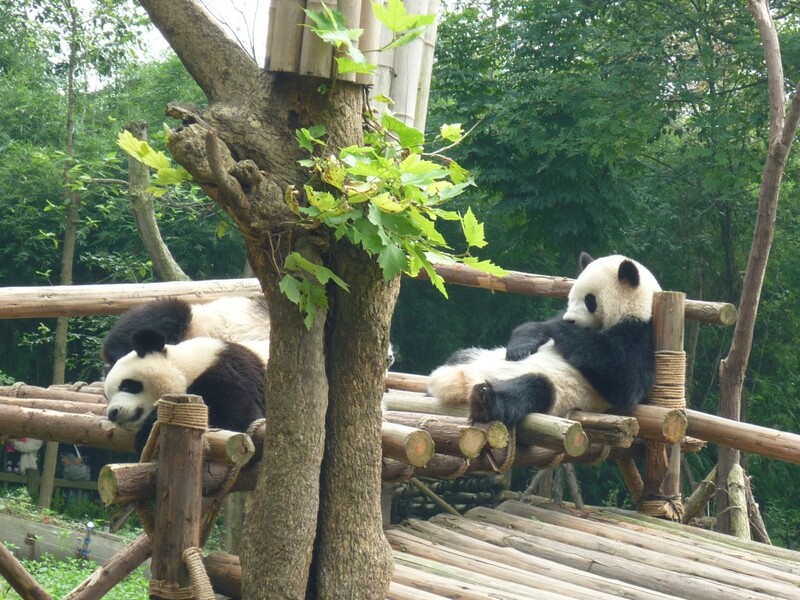 Additionally there is a Giant Panda Museum together with research laboratories and a training center. How to get there: take Buses No. 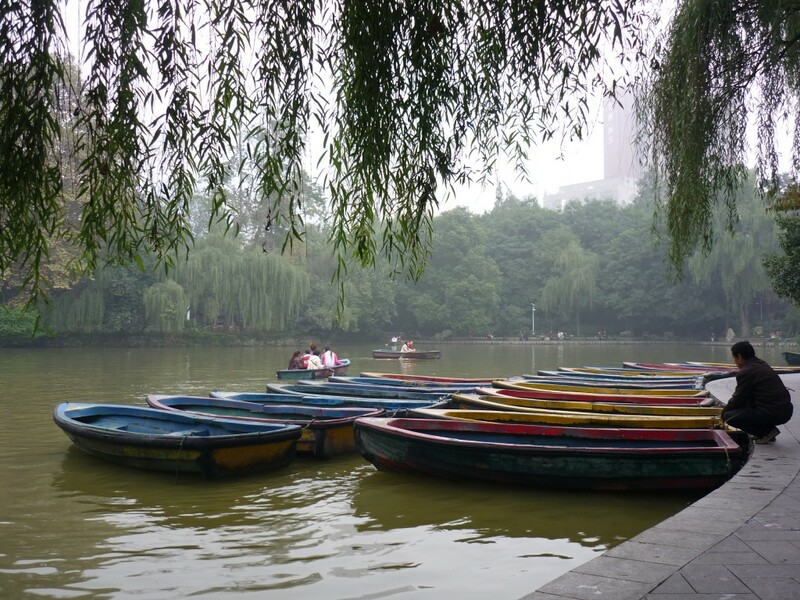 45, 71, 69, 302, 83 or 60 and then transfer to Chengxiang Bus No. 1 to the Panda Breeding and Research Center. 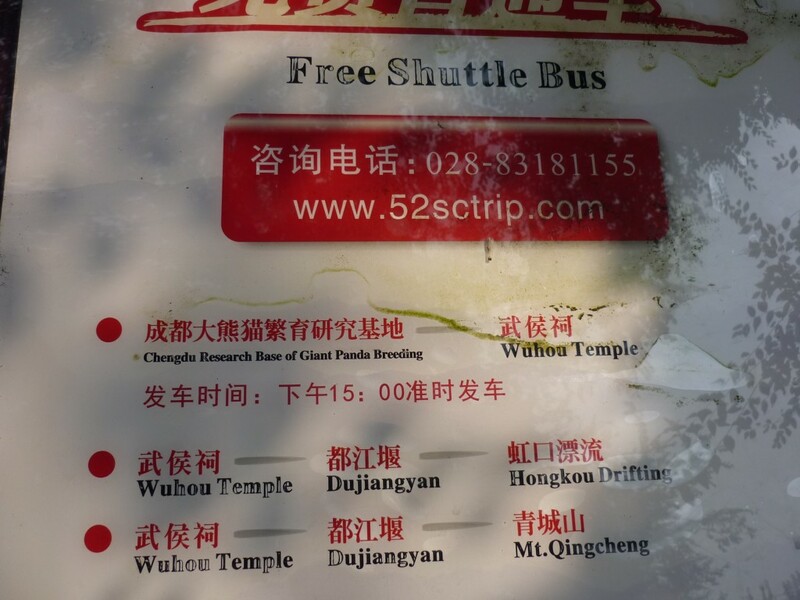 There are free shuttle buses from various places. I saw this sign when I was at the Research Centre. Check out if the bus is still available at the CTrip website as shown in photo. Aside from spending the day with Pandas, I love the street artists. 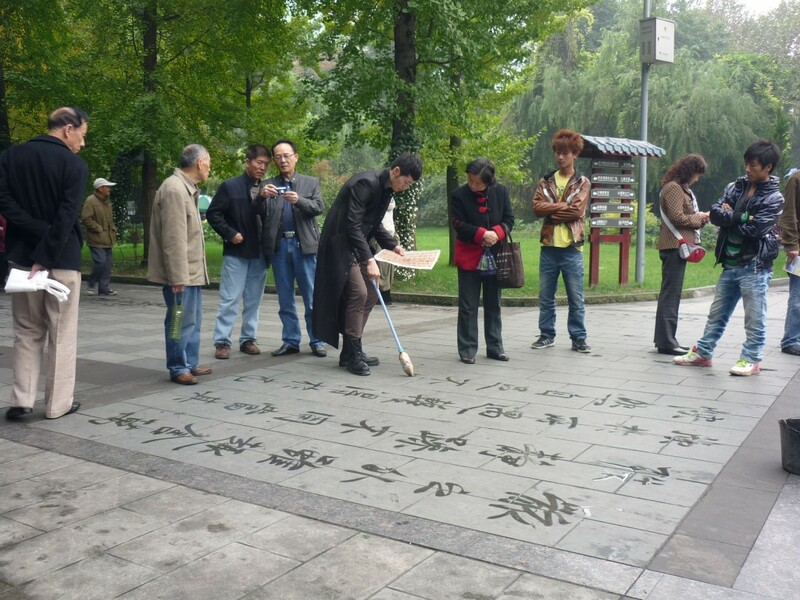 During the day you can see poets writing poems on pavements with water. 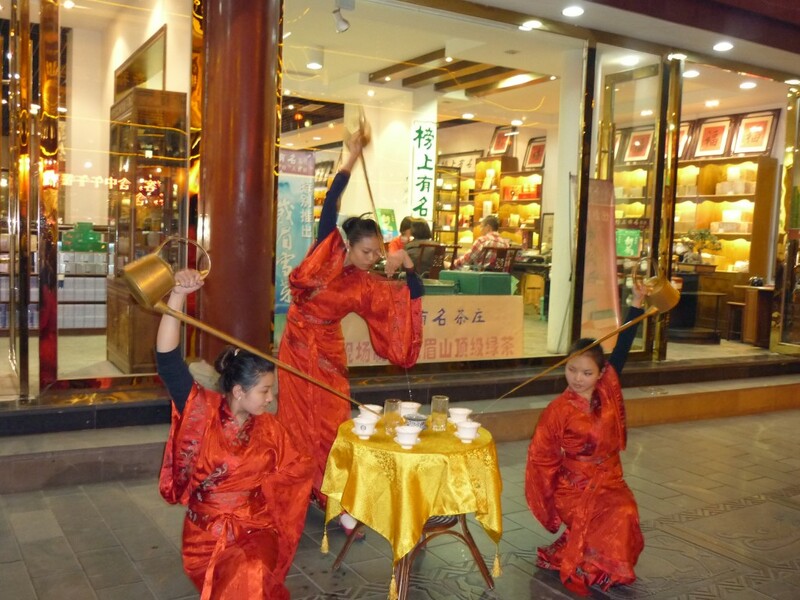 At night, the lovely ladies dance with their special Tea Pots, pouring tea for you ! 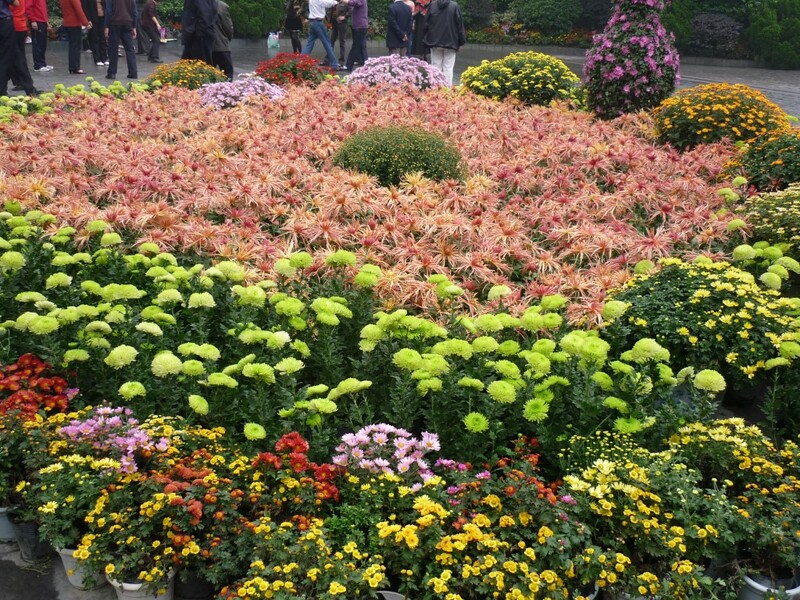 If you love flowers, there are thousands of pots of flowers on display. 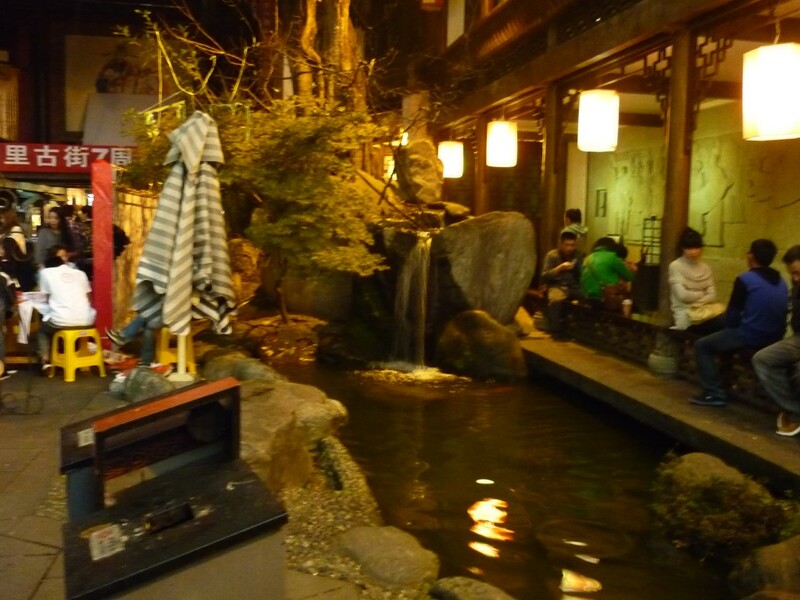 Everywhere you go, you will see lovely chinese scenery and places for food.